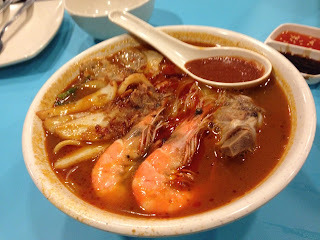 Personally went to this place to try out their prawn noodles as I was craving for some prawn noodles. Pretty hard to get really nice prawn noodles in Woodlands. 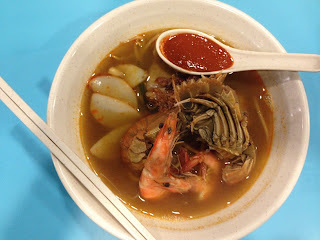 The first time I went, we ordered the premium crayfish prawn noodles($10.90) which has prawns and crayfish in it. It was great especially the broth. But it might be too salty for some as I do find it slightly salty. Below is the second dish we ordered. 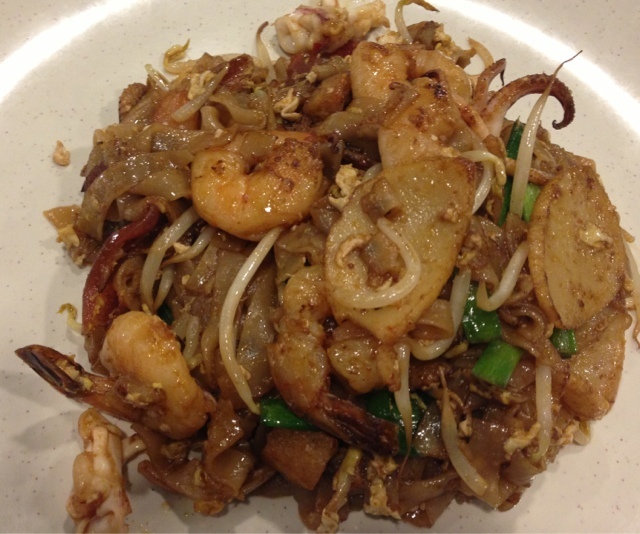 It's the premium seafood fried kway tiao($10.90). Lots of seafood and bean sprouts. 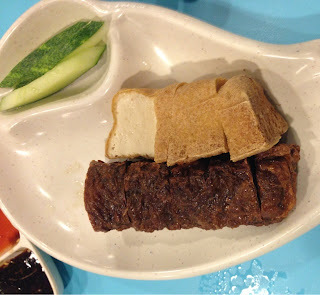 It's really good for those who favor more ingredients than kway tiao itself. Since there is only two of us, we are unable to order alot so we decided to come again the next time round. 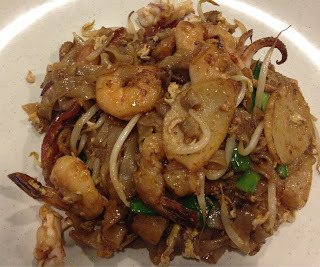 On the second trip there, we ordered the Penang Hokkien Prawn Noodle($6.50) which was their Signature Dish. Asked them for extra soup (they didn't change us extra for that) as previously the soup wasn't enough for us. Tried the Grilled Seafood Platter for 2 ($15.90). It's pretty disappointing though. 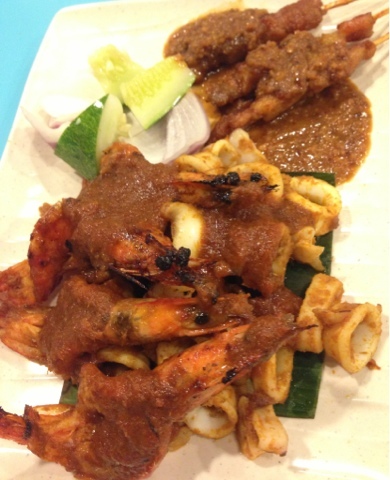 Prawns are grilled slightly over and the sotongs are too small only the satay was passable. Won't recommend this. 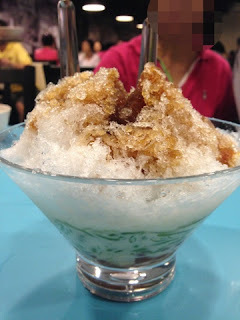 Lastly, we finished it off with the Penang Cendol ($3.50). It's pretty cheap for such a big portion, the four of us took turns to try it. Personally find it not really fantastic but if you are looking for something to cool yourself without burning a hole in the wallet this will be it.